Paty Abril-Gonzalez completed her PhD in Social, Multicultural, and Bilingual Foundations with an Emphasis in Educational Equity and Cultural Diversity in the School of Education at the University of Colorado at Boulder. Her dissertation is titled: Recuerdos, Expresiones y Sueños en Nepantla: Identity Journeys through Spoken, Written, and Artistic Testimonios. 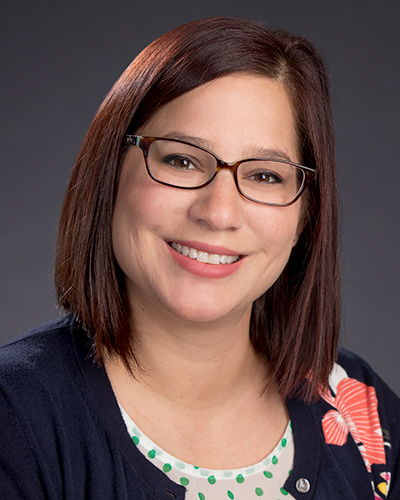 Her research agenda includes exploring long-term caring relationships between bilingual Latinx teachers, students, and their families through Chicana Feminist orientations using qualitative arts-based methods. Prior to her returning to graduate school Paty Abril-Gonzalez was a bilingual elementary school teacher for 7 years in Denver, Colorado, including dual immersion and traditional bilingual education settings. She taught in the same district where she learned English as a young student years before. Mitch's research interests include the role of humor as part of community cultural wealth, relajo in bilingual contexts and he is passionate about the different linguistic varieties, dichos, refranes, modismos, and chistes of the Spanish-speaking world. In addition, he is fascinated by how minoritized mono/bilingual Spanish-speakers leverage humor in both affiliative and disaffiliative ways to navigate hegemonic systems and what this could mean for theory, pedagogy, and practice.